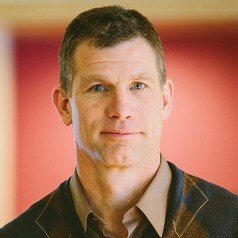 Dr. Brian Bolt is a Professor of Kinesiology, Department Chair, and intercollegiate men’s golf coach at Calvin College in Grand Rapids, MIchigan, US. For the past five years Dr. Bolt has served as the Kinesiology Department Chair and oversees both Kinesiology academic programs and intercollegiate athletics. Coach Bolt is also Calvin’s intercollegiate Men’s Golf Coach and has led teams to NCAA DIII nationals two of the last four years. Dr. Bolt’s scholarly and service work centers on the practical connections between sport and Christianity, teaching and coaching methodology, and working with underserved youth in sport and mentoring. Dr. Bolt is co-chair of the Sport and Christianity Group.